Yesterday I took a Boxing Day walk. The air was fresh, but not too fresh. 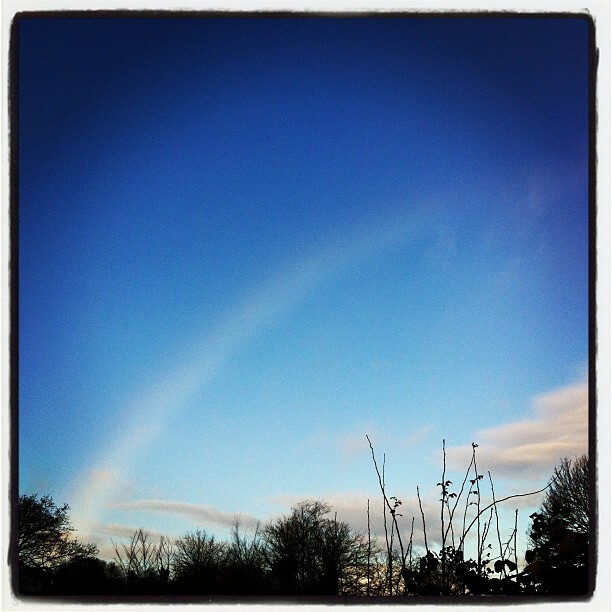 I saw my first ever cloud bow. LIke a rainbow but made out of cloud. What have you seen for the first time recently? Hope you are having a wonderful festive season.